One of our clients, Jennifer, called with a problem. Jennifer has an outdoor living catalog which allows customers to order items via her website, or call in orders, if they’d prefer. She has several part-time employees that answer calls and take order information via the phone. Sally noticed an increase in returned shipments due to incorrect addresses over the last several months. She wanted to investigate this dilemma and wondered if Halloo’s virtual phone system could help. 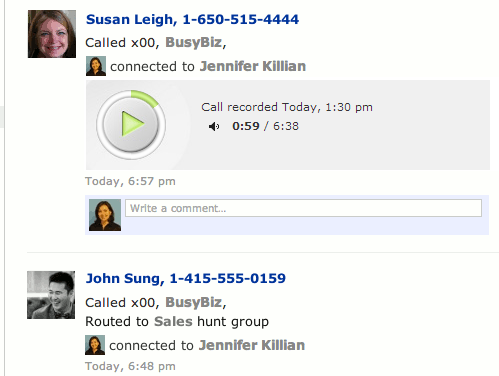 Jennifer decided to try Halloo’s call recording feature. 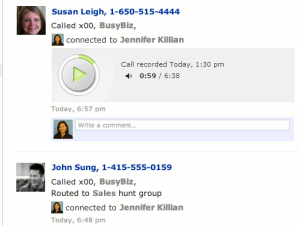 This allowed each call to be recorded in its entirety with no hassle to Jennifer or her team members. Call recordings are automatically included in the call history timeline, making them easy to find and review. With this feature installed, Jennifer was able to go back and listen to the calls, comparing the given address information to the data input for the shipping company. By monitoring the call recordings, she identified where the discrepancies were occurring. She was also able to determine that it was an isolated issue, not a widespread problem. Jennifer provided the appropriate feedback to one of her order takers and was able to resolve the issue. Since Jennifer could easily communicate with all her order takers via Halloo’s virtual phone system, she posted a friendly reminder about verifying shipping information twice, particularly with new customers. Jennifer also found other valuable insights while monitoring the audio files such as hold times and responses to commonly asked questions. Armed with this new information, she made tweaks to her order system and customer service training, resulting in even more satisfied customers! 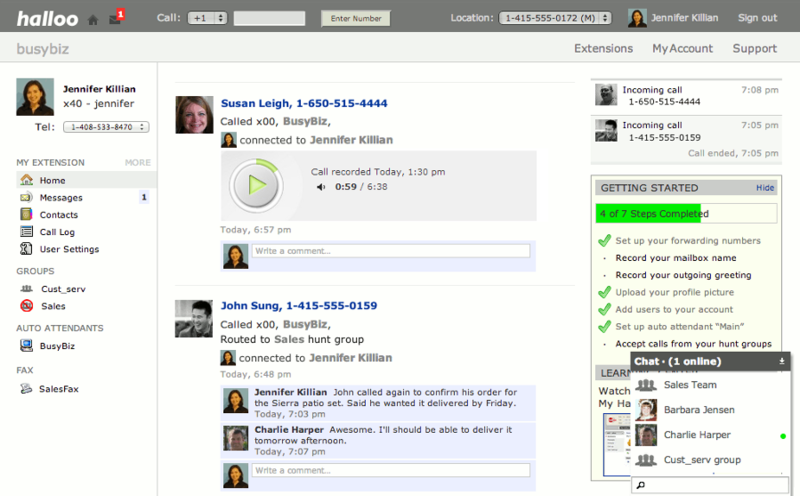 You can incorporate call recording on your Halloo Biz or Office account too. Email support [@]halloo.com today to get started. It’s seamlessly incorporated into your phone system, so there are no hassles and no buttons to push. Audio files are stored directly into the timeline. 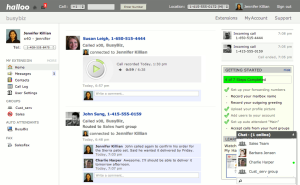 Call recording has a number of uses that can improve your business operations. To read our blog post describing the ways call recording can help your small business, click here. To learn more about the legal issues of call recording, click here. This entry was posted in Customer Service, Halloo Hints, Virtual Phone Systems and tagged call recording, call recording for business, call recording for quality by Heather. Bookmark the permalink.